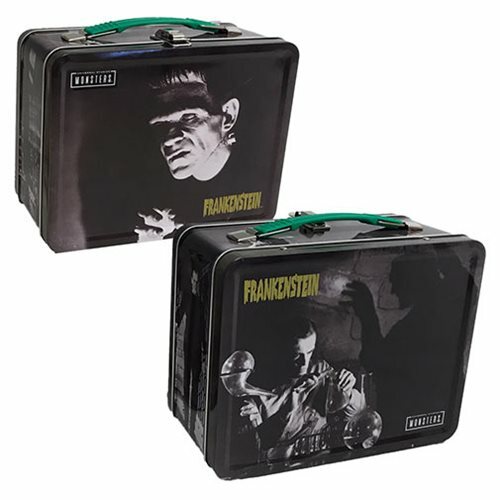 From Factory Entertainment comes the Universal Monsters Frankenstein Tin Tote! This high quality tin tote features fantastic artwork from the hit Universal Monsters horror movie Frankenstein! Measures about 8 3/5-inches long x 6 3/4-inches tall x 4-inches wide.